Are there multiple pipe dream shades out? I feel like some items look blue-purple and some look very blue. Thanks so much for your amazing posts and hard work! Luv them! I believe the new pink featured may be called "Barely pink" as featured as a new Fly Away Tamer color during this week's product drop. Looks a tad deeper shade of pink than Pretty Pink. I agree that it looks similar to Vintage Pink esp in a heathered swiftly. This Barely Pink may be the pink (along with the Bleach Coral) in the Whamo Camo print and in the Pop Stripe Heathered Dune/Bleach Coral Bangbuster. Did you get to try the burlap inspires? Was the Vintage Pink called Heathered Vintage Pink previously? That's what the racerback color is now. I just ordered one to compare with my older Vintage Pink. I would wear that pretty muscle tank with a sharp black pencil skirt to work (with a blazer over) and straight to gym after! Hmmm… surge and tropics are too similar! @ anon 8:19 pm - So, you're saying there was a regular Vintage Pink swiftly out prior to the Heathered? There is only Heathered showing on the website under the tank section. I think you are right and it is Heathered Vintage pink. Maybe I thought my store had it when I was really looked at Heathered Pow Light. @Anon 7:45 - I thought Barely Pink was lighter but after looking at the flyaway tamer photo it could be that. 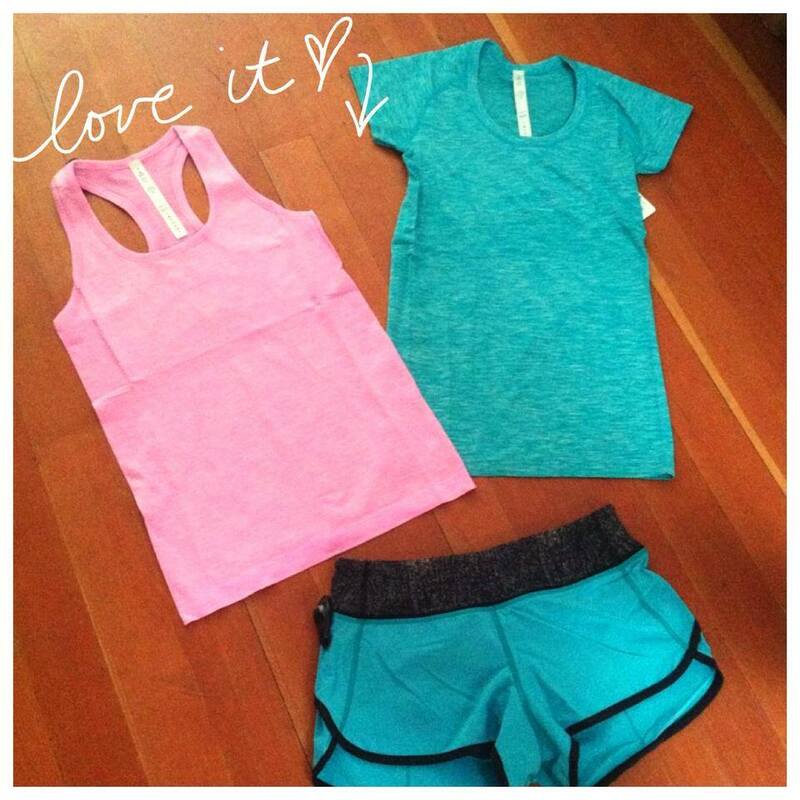 Hey luluaddict....I think the color is heathered vintage pink. It's featured on the hong kong website in the 'what's new' section. The tank is a swiftly tech racerback*space dye. Heathered vintage pink swiftlys have been out for a while... I ordered one in a 4 by accident and then reordered a 6 frantically when they were starting to sell out of sizes. It looks like they were replenished on the last upload though and representing it as a new color for some reason. Weird. Blue tropics = suuuuuuper close to surge. Hopefully that means it wont sell out in an hour. That girl in the pipe dream stripe speeds makes them look good. I like how they are so different from any speeds I have but feel like the top color choice is extremely limited. Yea, Surge and Tropic whateverit'scalled are too similar. 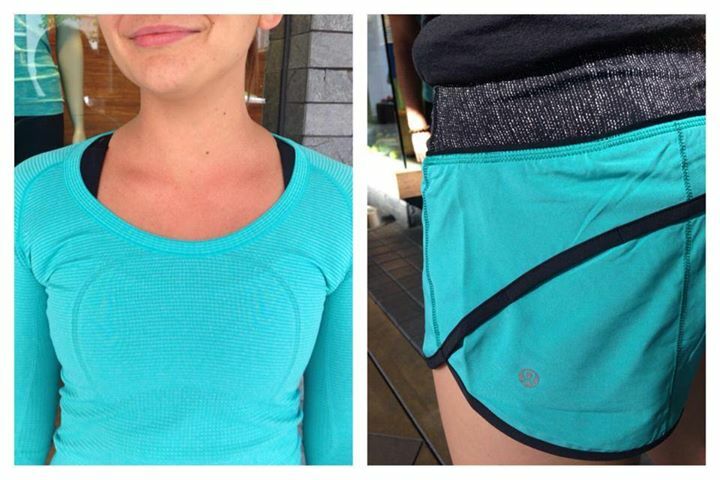 I have so many items in Surge, I don't need to add this to my lulu wardrobe. Spotted a Pop Stripe Light Gray No Limits tank at my local store! I'm still debating on Blue Tropics, it's one of those in between colors that seems to be blue or green depending on how you look at it. I look good in green but not so much blue. Maybe I'll buy the In the Flow Crops and return them if I don't like them. 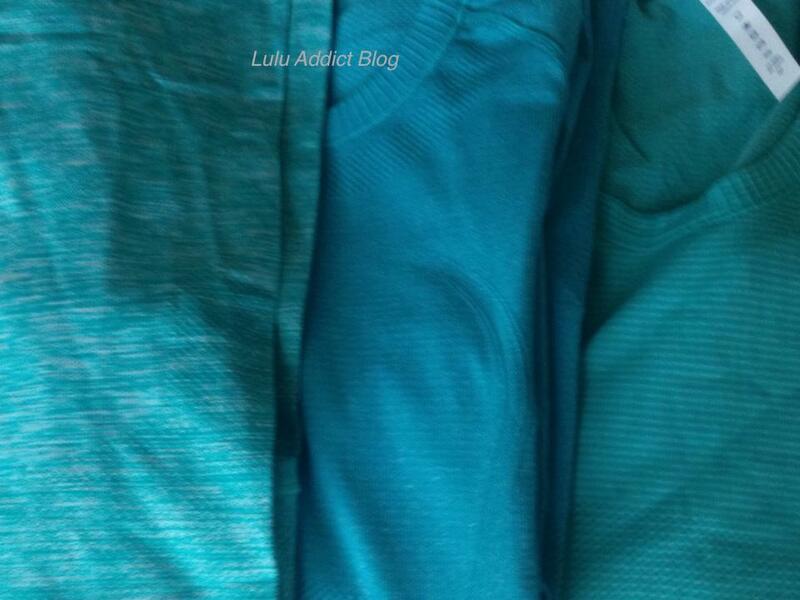 Also second a big thank you to Lulu Addict for these wonderful posts. I haven't seen the color at my store so I didn't know how to compare yet, your blog is really helpful! 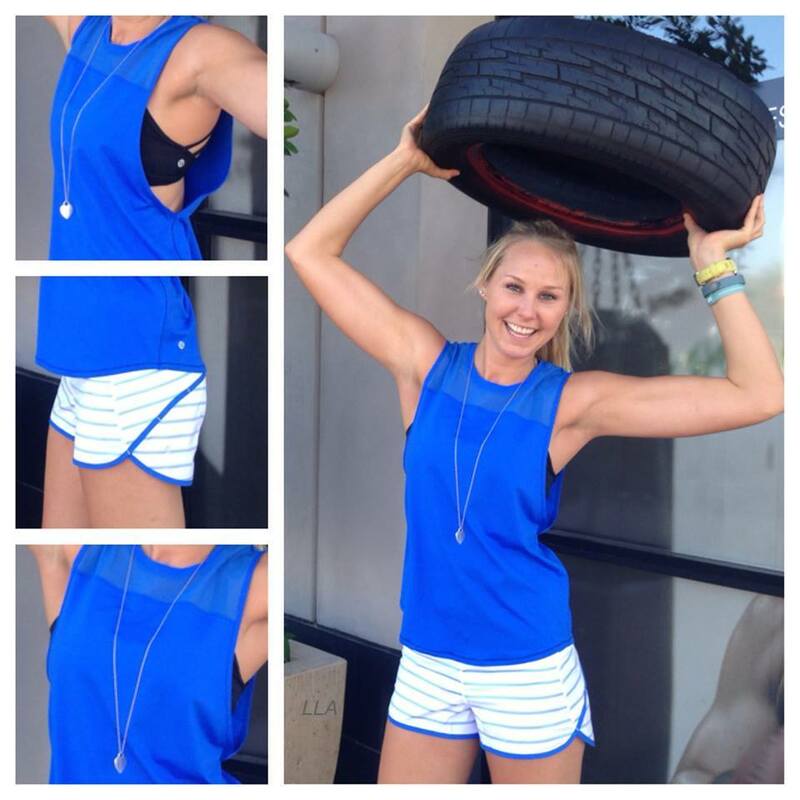 Love that muscle tank...don't see it on the Lulu site though? @ anon 7:43 am - Yes, I think heathered is the difference. I am 99.99% sure that the website is showing the solid Vintage Pink tank photo instead of the new heathered version.